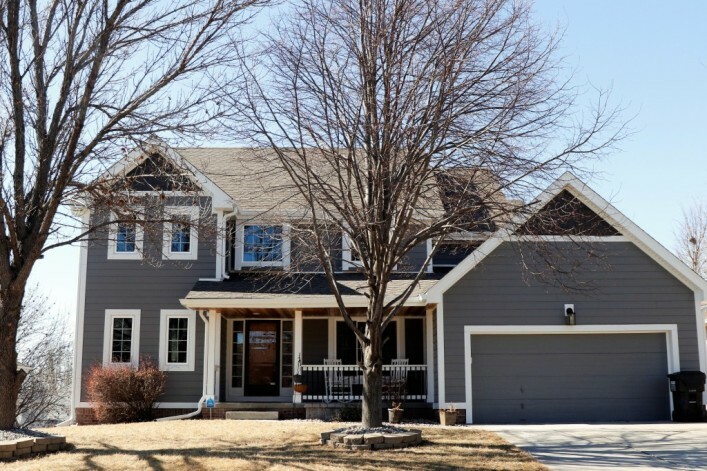 Over the past 16 years, Carp’s Complete Exteriors has been fortunate enough to assist our Omaha, Nebraska neighbors in making their homes more beautiful, comfortable and valuable with James Hardie Siding. 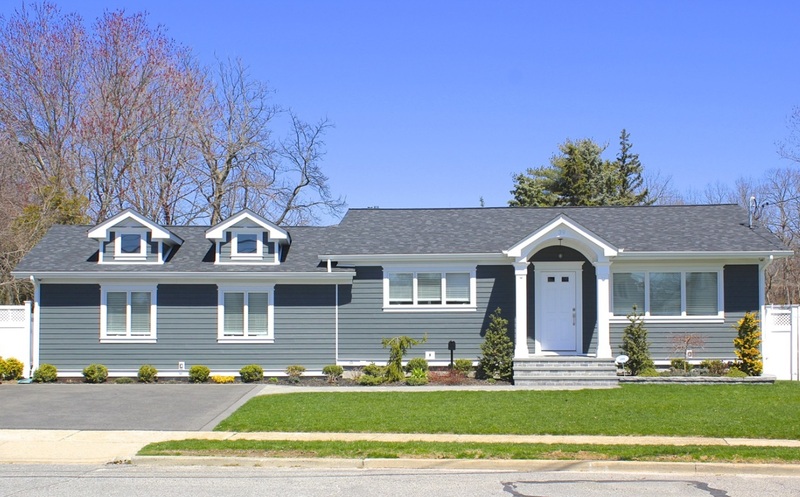 You’ll love the lasting curb appeal and low-maintenance living that come with James Hardie Siding installation and other Carp’s home remodeling services! Give your home lasting curb appeal with James Hardie fiber cement siding installed by a professional contractor. 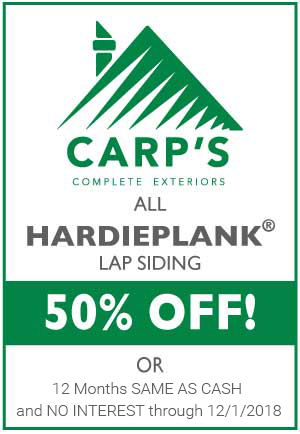 Carp’s is Omaha’s Elite Preferred James Hardie Siding and Trim installer. Contact us to discuss your spring residing needs - and take advantage of our 50% off special! Our scope and focus during your home remodeling or residing project is based around your total satisfaction. Customer satisfaction is our everyday focal point and our expert installers work to meet your expectations. Carp’s crews are committed to staying in communication, not only to meet the goals of the project, but also to ensure that it is an exciting and enjoyable experience for you, the homeowner. Throughout your project, we are focused on achieving your home design and turning your aspirations into a reality. Carp’s professionally-certified crews are committed to keeping an organized schedule, being efficient and proficient on the project, and always keeping a line of communication open. Our crews keep the project site clean and safe for your family, and your peace of mind. As a trusted local contractor for the Omaha area, Carp’s is a proud installer of many quality home improvement products. We also offer custom design services to enhance the look of those products on your specific home. The Carp’s home exterior experts take pride in helping you plan your home remodeling project around your unique, personalized design aspirations. We offer several design tools that allow you to visually interpret what your remodeled home might look like. Our design tools and visual aids allow you to choose different styles, colors, trim and design aspects of the project. At Carp’s, we pursue high-quality design, and give you access to many personalized resources during the design phase to help you meet your aesthetic goals. Make Carp’s Complete Exteriors Your One-Stop Shop! It’s our goal to make your home remodeling experience enjoyable and affordable. That’s why Carp's Complete Exteriors offers customers the advantages of both a large, one-stop shop along with the focused, personal attention of a locally-owned company. We carry top quality home remodeling products and trusted brands that not only protect your home, but will also add value for years to come. And more! Ask us about your custom design ideas. Backed by the Good Housekeeping Seal of Approval and called the #1 Return on Investment by Remodeling Magazine, James Hardie fiber cement siding products are the best choice for durability, authentic design, and return on investment. In fact, James Hardie® fiber cement siding is consistently rated among the top home improvement products for its return on investment. 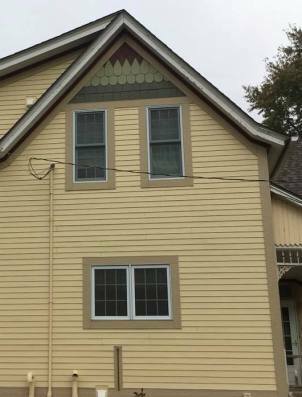 According to the Remodeling 2018 Cost vs. Value Report (www.costvsvalue.com)*, the average installation cost of fiber cement home siding holds its resale value, giving homeowners up to a 77 percent return in costs recouped - among the highest of any home remodeling project you can do. And for the last decade, this been the case. 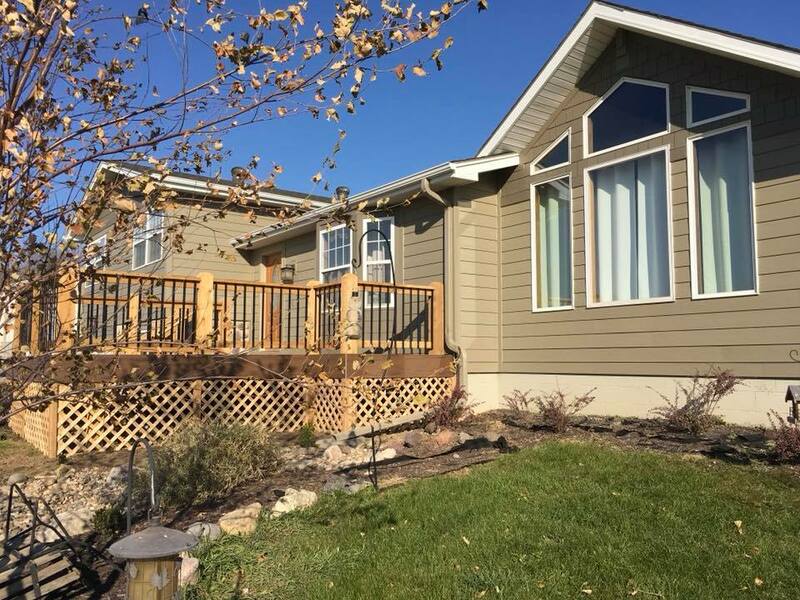 When it comes to improving the exterior of your home, Carp’s Complete Exteriors is an experienced residential contractor in the Omaha, NE metro area. 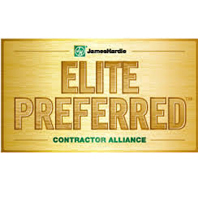 We have proudly been named an Elite Preferred installer of James Hardie siding products, the #1 siding in America. Contact us for Spring Savings and take 50% off your James Hardie Lap Siding today! You want to ensure you’re buying the best possible product when you choose to re-side your home. James Hardie invented fiber cement and remains the leader in the field. James Hardie is the only siding company that engineers siding and trim products specific to our harsh Midwest climate, ensuring the best home siding performance for our region. James Hardie with baked-on ColorPlus® Technology resists fading, chipping and cracking, which results in far less maintenance for you. Since fiber cement siding (unlike vinyl) is non-combustible and hail-damage resistant, it can sometimes help reduce home insurance premiums. Ask your agent. For more than two decades, Carp’s Complete Exteriors has been giving Omaha-area homeowners peace of mind with our expert installation, high quality products, and the area’s best customer satisfaction ratings. Our certified, reliable crews offer top notch service and proactive project updates for your satisfaction, guaranteed. Let us show you how home remodeling is supposed to be. Contact Carp’s for your free estimate today! *© 2018 Hanley Wood, LLC. Complete data from the Remodeling 2018 Cost vs. Value Report can be downloaded free at www.Costvsvalue.com. 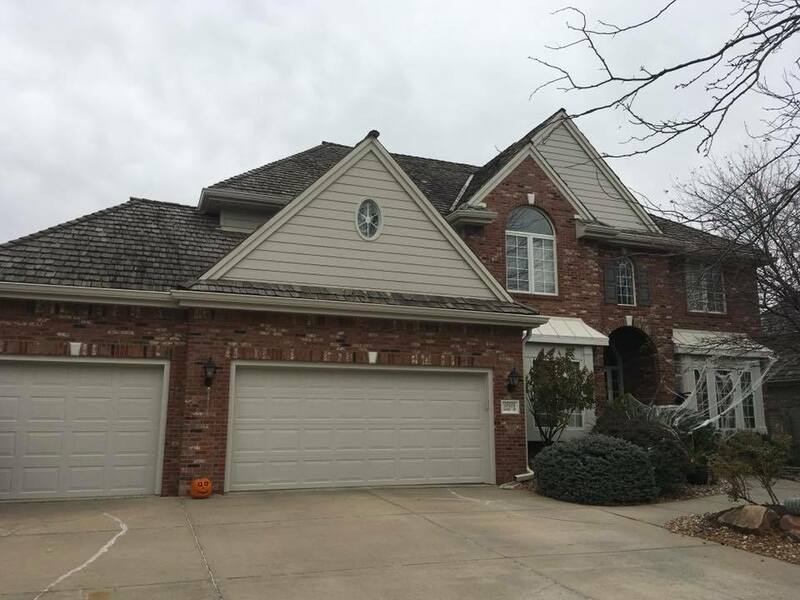 This Omaha, Nebraska home recently got a facelift with a new TimberTech® deck, CertainTeed roof and HardiePlank® Lap Siding installation by Carp’s Complete Exteriors. As we wind down 2017, Carp’s Complete Exteriors is proud to celebrate a year of excellent performance as a GuildQuality member, a third-party customer satisfaction surveyor. We are thankful to our customers for giving us a 99.4% positive rating and sharing 5-star reviews about their home improvement projects on GuildQuality.com. GuildQuality is independent third party that empowers customers to share real, objective assessments of their home remodeling and re-siding projects with Carp’s Complete Exteriors. GuildQuality gathers feedback from our clients, and offers transparency by sharing their comments and reviews online. The result is honest feedback from Omaha-area homeowners who’ve trusted Carp’s with their home improvement projects, such as James Hardie siding installation and other services. GuildQuality has surveyed customers on behalf of Carp's Complete Exteriors in Omaha, NE; Bellevue, NE; Elkhorn, NE; Ft. Calhoun, NE; Papillion, NE; Plattsmouth, NE; and Gretna, NE. We rely on this feedback to help us continually improve and deliver an exceptional experience for all our customers. Contact Us for James Hardie Siding, Leafree Gutters, Roofing, Decks and More! Winter is coming, make sure your home is ready. Contact Carp’s about our winter discounts, and schedule your free estimate today. Curb appeal for a lifetime! Pictured here: James Hardie prefinished siding with ColorPlus® Technology, and cedar stoop soffit by Carp’s Complete Exteriors. The quality of your home siding and installation matters. The durable function of James Hardie® siding makes for a reliable investment, while the character-enhancing styles and color options add beauty to any home. Choose from an array of vibrant colors, or stick to the classics. Modernize your home with James Hardie® vertical planks, or enhance it’s historic character with traditional lap boards and shingle shake textures. Whatever your taste or style of home, James Hardie® siding installation from Carp’s will meet your expectations for beauty and long-lasting performance. 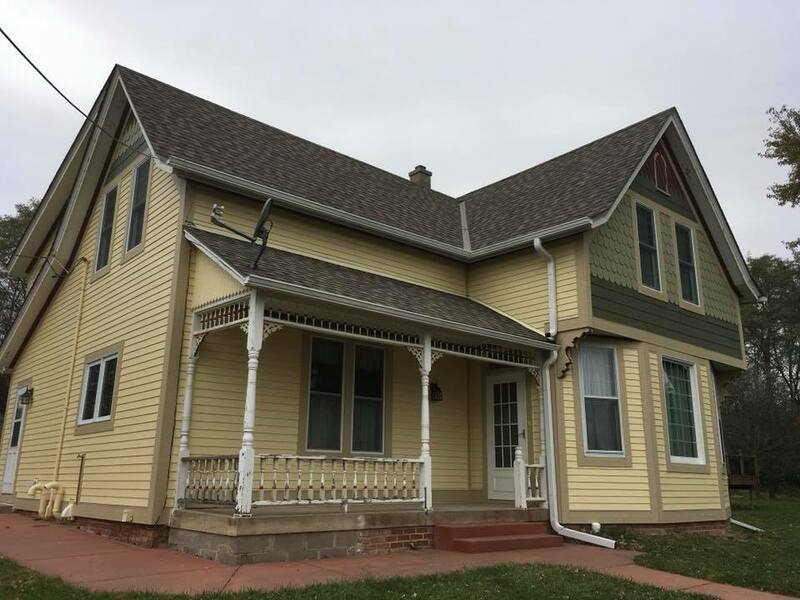 A historic farmhouse outside of Omaha, Nebraska was restored with James Hardie® fiber cement siding to match the original architectural style of the house. When it comes to the benefits of choosing James Hardie® fiber cement siding for your home, there is a long list of pros. Longevity: This specially engineered fiber cement siding is completely rot and insect resistant. Most James Hardie® siding products come with a 30-year warranty, so you can bring your timeless design to life with materials that are built to last. Aesthetics: Hardie board siding can be made to mimic just about any other siding material, including wood lap boards, cedar shingles, and wood shake siding. Color options are virtually unlimited. Siding finished with ColorPlus Technology comes with a 15 year warranty. Fire Resistance: James Hardie® siding is 90 percent sand and cement and is engineered to be fire resistant, unlike wood or vinyl siding. 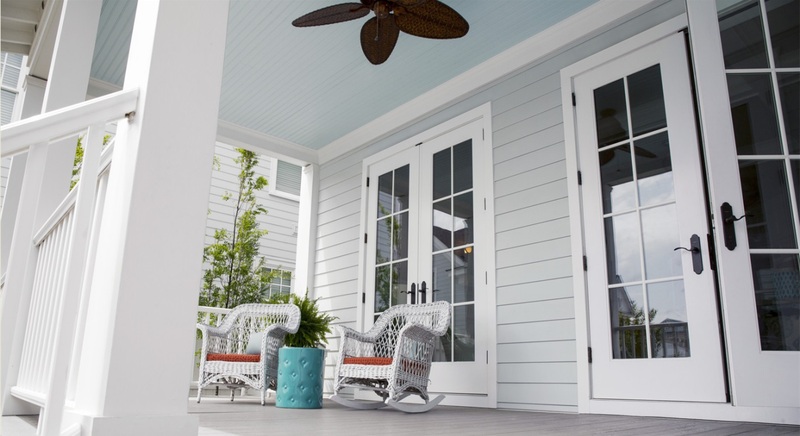 Durability: James Hardie® siding material is proven to withstand extreme weather conditions without sustaining damage, including hurricanes, hailstorms, extreme summer heat and severe winter weather. Architectural Character: No matter your taste, James Hardie® siding and trim will lend your home’s design a look that’s as timeless as its performance is enduring. James Hardie® offers the right siding color options, textures, widths and accent pieces to complement the architectural style and historical integrity of any home. The James Hardie® siding experts at Carp’s carefully recreated historical details of this 120-year old farmhouse with custom-cut diamonds, shakes and scallops. As an ‘Elite Preferred’ James Hardie® siding contractor in the Omaha, NE area, our focus is your satisfaction. Carp’s offers the area’s best warranties and is a certified installer of top-quality home exterior products, including James Hardie® siding and backerboard. As a homeowner, Carp’s Exteriors will facilitate the installation of your James Hardie® siding, trim, soffit, wrap and flashing products. We are a top-rated installation specialist in Omaha, having gone through rigorous installation procedures and best practices for the entire line of James Hardie® siding products. Choose to work with a professional contractor like Carp’s Exteriors for the confidence and performance you expect from your James Hardie® siding. Carp’s Complete Exteriors offers siding installation and home remodeling services that protect your midwest home in harsh weather. As fall comes to Omaha, Nebraska, taking steps to improve and protect your home now will mean greater comfort and energy savings when those colder temps are here to stay. 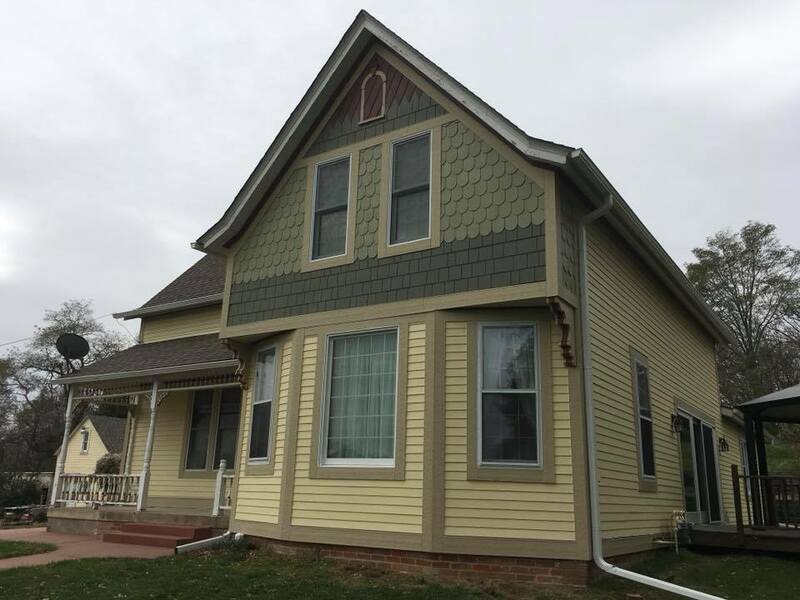 As an ‘Elite Preferred’ James Hardie siding contractor and siding installer serving Omaha, NE, Carp’s Complete Exteriors offers professional home siding installation and other home improvement services that maximize your investment. Combine our gutter, roof or window services with James Hardie home siding installation, and add the ultimate curb appeal, value and longevity to your home. Carp’s Complete Exteriors offers a full line of home remodeling services to help protect your home, year round. We provide free estimates on all our home exterior projects in the Omaha, Nebraska metro area. Contact us to create lasting beauty, increase your home’s value, and experience low-maintenance living in a home that’s been remodeled right. Keep your gutters and downspouts clear of leaves and debris. Proper drainage prevents ice build up that can cause water damage to your roof, siding and more. Carp’s Complete Exteriors offers high quality, leaf-proof gutter systems to minimize ice dams, and prevent water issues caused by blockages. Our home remodeling experts will address any underlying issues such as rotting boards or eroding shingles around your gutters, and can make necessary repairs. 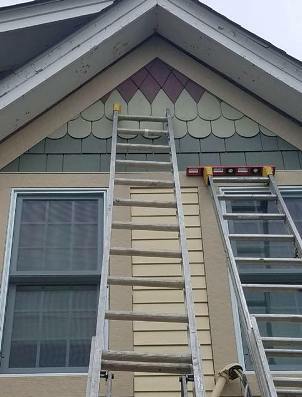 Carp’s Gutter services paired with James Hardie siding replacement offers the ultimate protection package for your home! 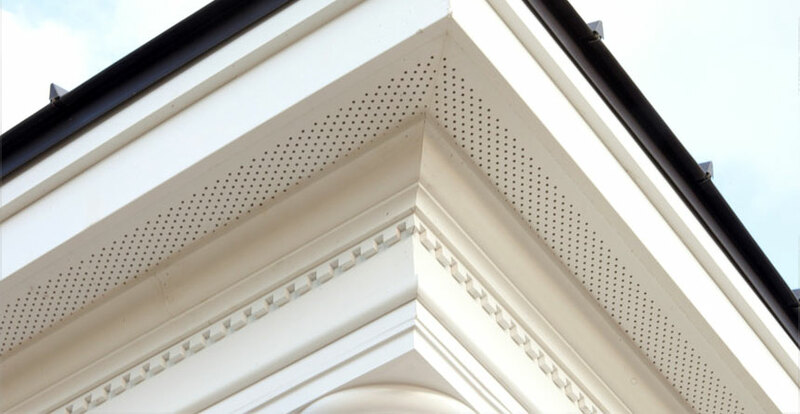 Soffit and trim panels are key construction elements that cover the underside of your roof eaves and accentuate doors and windows. They are the key to creating a finished, polished house, but they are also vulnerable areas when it comes to water damage. Pair new gutters with HardieSoffit® and HardieTrim® for the best protection against water damage, mildew and rot. On a residential home, the average roof needs to be replaced every 20 years. Severe hail storms can leave impressions in your roof and loosen shingles. Over time, normal wear and tear from nature can leave cracked, bald, torn or even missing shingles that cause leaks. If you have any signs of water damage on your ceiling, repairs to your roof are likely needed. Roof leaks can cause dangerous mold after repeated rain, snow melt, and moisture. Simply patching it may not fix underlying issues and could actually lead to more expensive repairs down the road. Is your roof ready for ice, snow and winter storms? If you’re not sure, contact Carp’s Complete Exteriors for a free roof inspection. Your roof is the first line of defense from rain and snow, but the sides of your home play an important role in protecting your home from winter weather too. James Hardie siding is hail resistant, water resistant, and engineered to withstand the harsh, freezing winters we experience in the Midwest. James Hardie fiber cement siding is tested to withstand extreme weather and storms, as well as the change of seasons that can break down other types of vinyl or wood siding. Only James Hardie products are Engineered for Climate®, which means they resist damage caused by wet, freezing conditions. Check your windowsills and frames for signs of wear or damage. Rotting wood windowsills can encourage pests. Improperly sealed windows can leak and cause water damage during a storm. Plus, old windows that are drafty can increase your heating bills and make your family uncomfortable. Window replacement is one of the best home remodeling projects in terms of investment return, and gives you a more comfortable home with enhanced beauty and value. If you choose a high quality window from an experienced installer like Carp’s, your window replacement project can save you money. According to Energy.gov, installing low-e storm windows amounts to a savings potential of 12%-33% on your annual heating and cooling bills. Along with properly maintained and sealed windows, James Hardie Siding can add a layer of coziness. It offers another barrier of protection from the elements, and can add to your potential savings from reduced utility bills. Unlike wood, James Hardie siding and window trim products are water, wind, and even pest resistant, so you never have to worry about whether the critical elements of your home will be protected. A professionally installed underlay of HardieWrap® Weather Barrier, Pro-Flashing, Flex Flashing and Seam Tape adds even more protection against water damage, mildew and energy loss. Give us a call at 402.651.1493 and let us show you how home remodeling is supposed to be.